Do you know what these are? Just some of my favourite tools in an arsenal of circle making things. 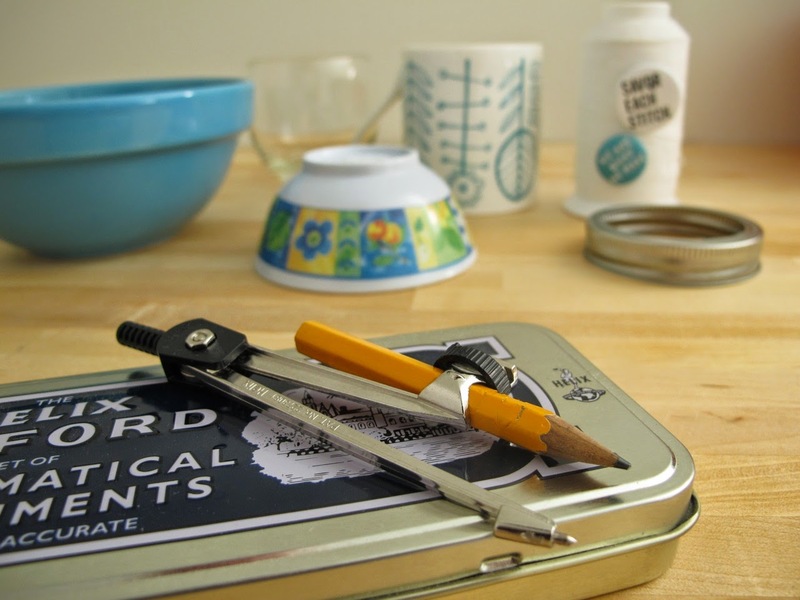 Front and centre is my compass and elementary school geometry set. School supply nerds take note! You can find out about these and how I use them in the new book from Lucky Spool, The Essential Guide to Modern Quiltmaking. 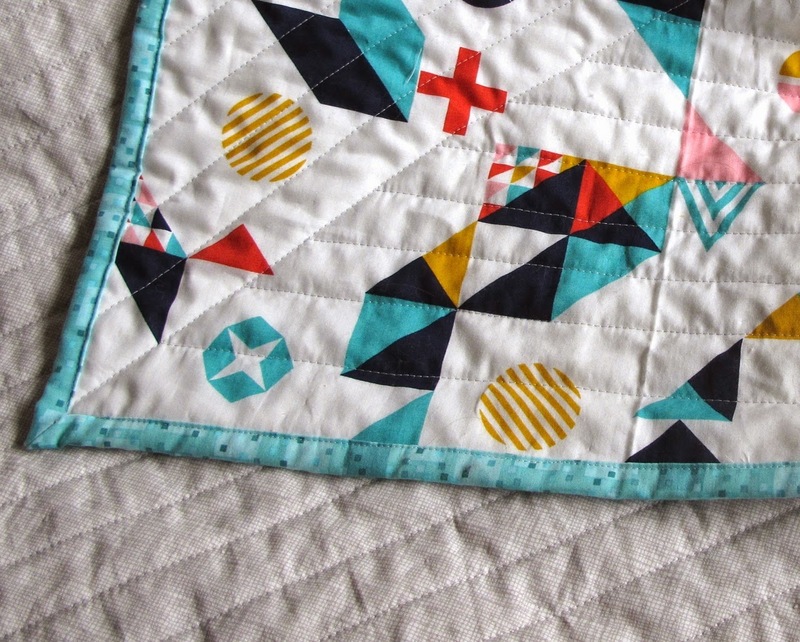 Heather Grant then takes us on a Study of Modern Quilts. 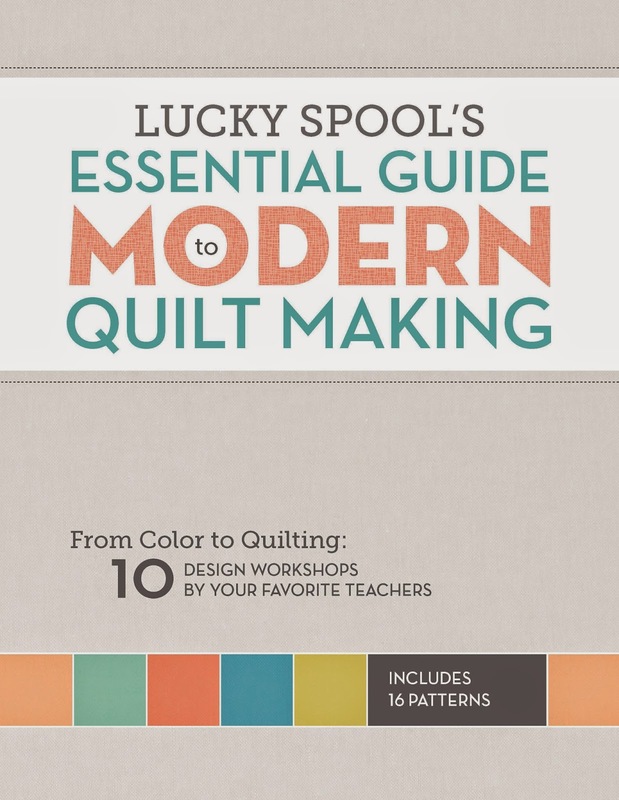 Lucky Spool is a new publisher on the book scene for quilting. 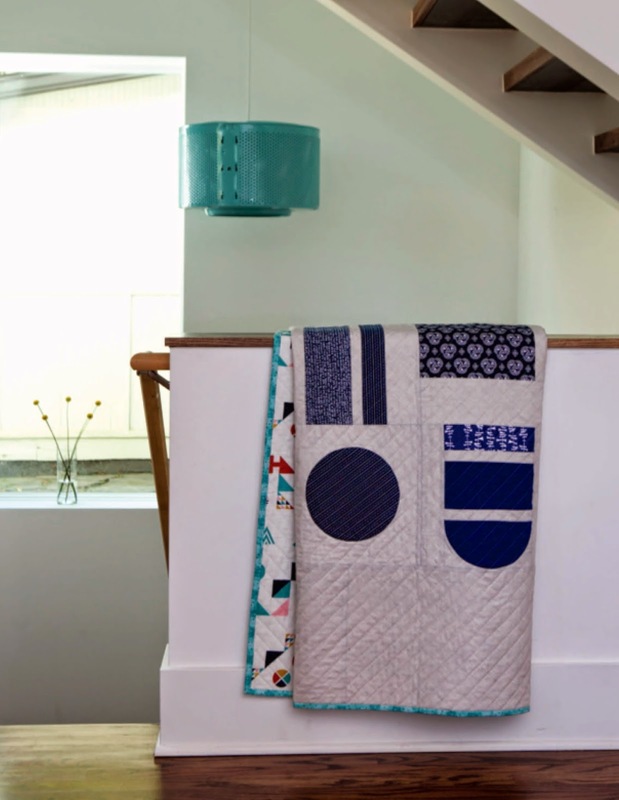 Led by Susanne Woods (formerly of Stash Books and Craftsy) they are bringing a number of exciting books to the market. 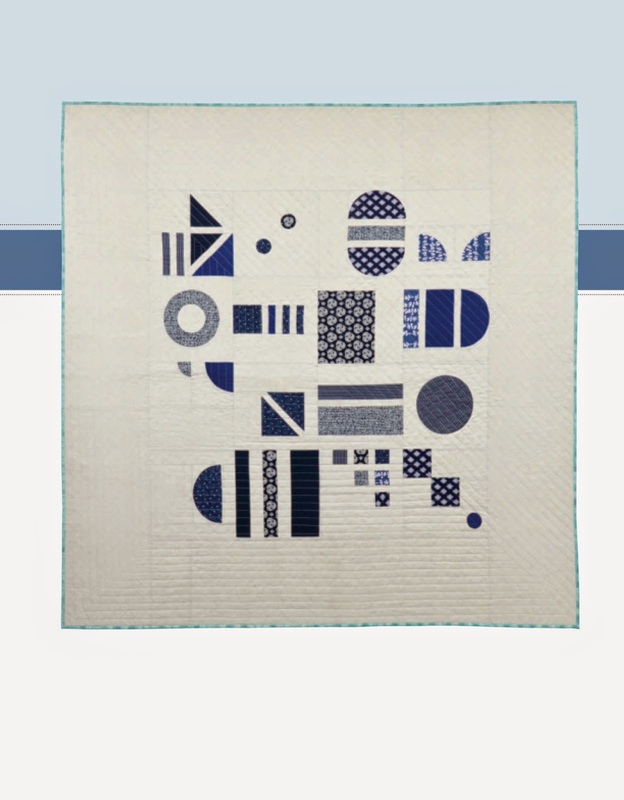 Their Essential Guide for Modern Quiltmaking looks like it is going to leave its mark for quilters everywhere. You wrote a great chapter! I remember when I first saw your project for the book. So unique and bold! I love it! It is such a great way to learn techniques for circles and curves, something on my personal agenda. Thanks for the code fix, I ordered the book. Love, love, love this one. Like a canvas hanging in the Museum of Modern Art!